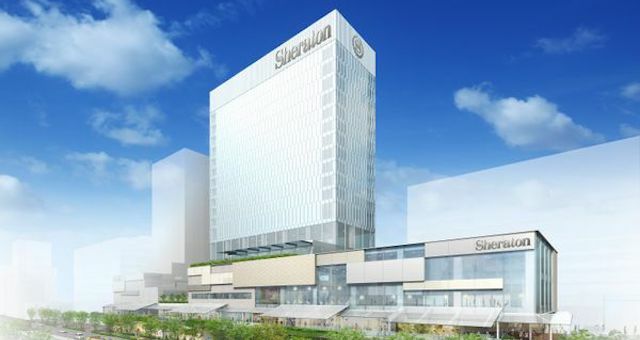 Sheraton Hotels & Resorts, part of Marriott International, announced the signing of an agreement with Japan’s Nangoku Corporation for a new-build Sheraton hotel in Kagoshima, Japan’s southernmost major city. Kagoshima is often compared to its sister-city of Naples in Italy for its bay location, palm tree-lined streets and iconic volcano, Sakurajima. Each of the hotel’s 223 guestrooms and suites will offer the signature Sheraton premium sleep experience with the plush Sheraton bed. Guests will be able to expand their palates with distinctive dining experiences at an all-day dining restaurant, specialty restaurant and lobby lounge and bar. The hotel will feature 953 square metres of versatile function space, including a 500-square metre ballroom, four meeting rooms and a pre-function area. Additional facilities will include a swimming pool, fitness centre, Sheraton Club Lounge, spa, gift shop and a chapel. Kagoshima is the capital of Kagoshima prefecture in southwestern Japan, known for its mild subtropical climate and is about an hour and a half flight south of Tokyo. The city’s emblematic geographical landmark is its active volcano, the majestic Sakurajima, which sits in the middle of Kagoshima Bay. Often compared to Mount Vesuvius in Naples, the volcano is usually seen with a column of smoke rising from its craters, and minor eruptions often occur a few times a day. Slated to open in 2022, the architectural design for the new hotel will be led by the prestigious Mitsubishi Jisho Sekkei Inc., with its interiors designed by MEC Design International Corporation. There are presently more than 120 Sheraton Hotels and Resorts in Asia-Pacific, with more than 50 more in the pipeline, making this region the fastest-growing market for the Sheraton brand.